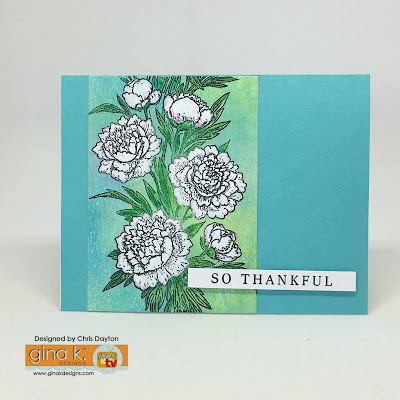 The Cast and Crew for Gina K Designs welcomes you to Day Two of the Inspiration blog hop celebrating the new stamp sets by Gina K! This month, we are celebrating the release of the Boho Flowers mini kit and three other stamp sets by Gina K Designs! These sets are Wise Old Owl, Peony Wishes and the new incentive set Grand Greetings. We hope to inspire you with some beautiful card projects as you hop along to each of the designer’s blogs! 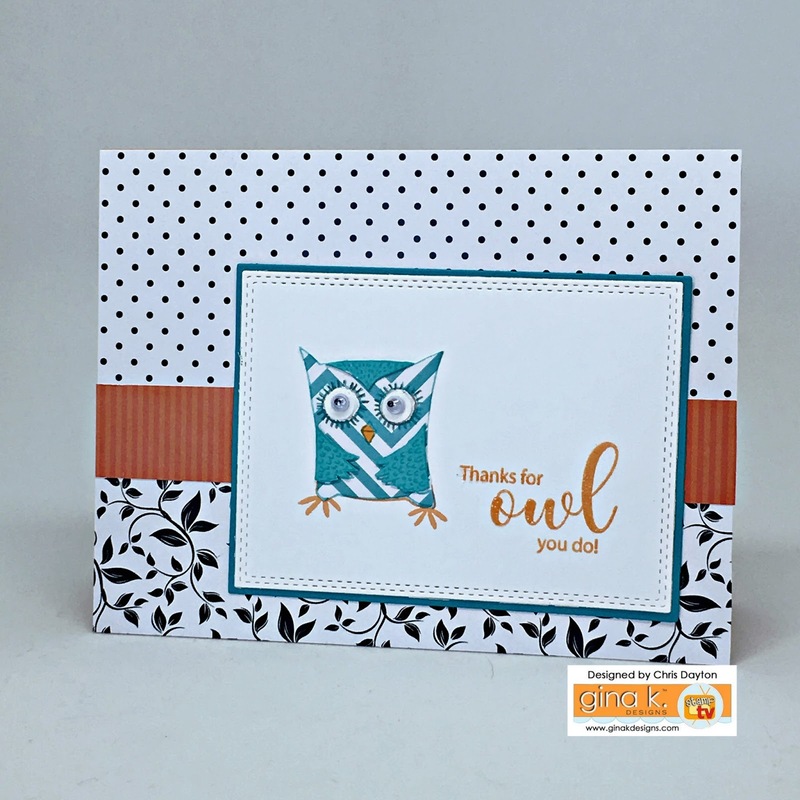 Today, we are featuring projects created with Wise Old Owl, Peony Wishes and the new incentive set Grand Greetings. 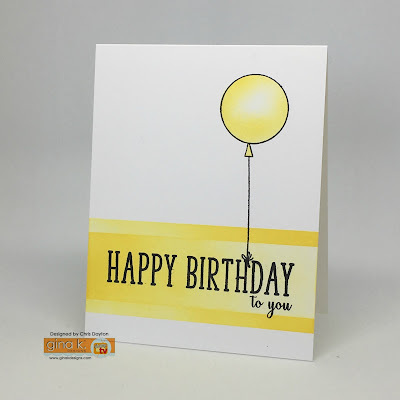 You will have so much fun creating so many varieties of cards using these images and sentiments. This card was created by first using a Gel Plate and acrylic paints to create a colorful panel. I then stamped the Peony image on the panel with Versafine Black Onyx ink. I left my stamp in position in my MISTI, while I painted in the blooms and foliage with acrylic paint. I painted directly over the stamped image, but tried to stay within the exterior lines. Once it was dry, I restamped right over the paint with Versafine again, puting the details back on top of the paint. I then trimmed the panel and added to a Turquoise Sea Card base. 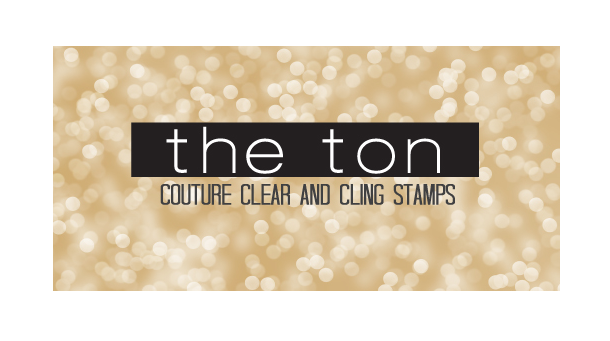 The greeting was stamped on Heavyweight White cardstock, trimmed and adhered to my card with foam dimensional adhesive. I also stamped this image with Versafine, onto Bristol Smooth paper, then watercolored it using Zig Clean Color Real Brush markers. The square panel was popped up from the white mat using a piece of white fun foam, then added to a background of the patterned paper found in the Delicate Essentials paper pack. 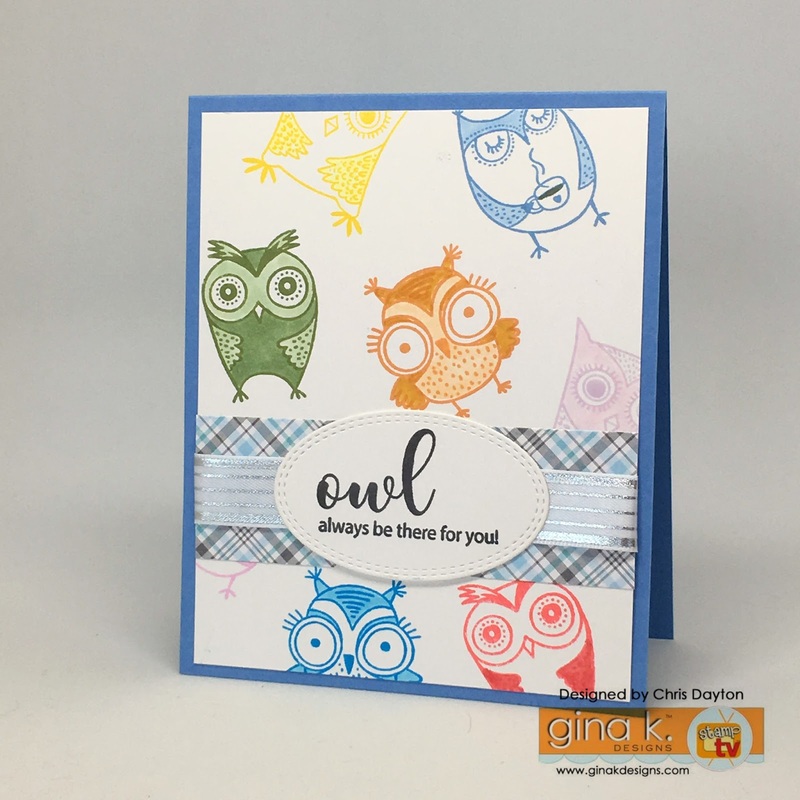 This little owl from Wise Old Owl was paper pieces with the chevron paper from the Bold & Blooming paper pack and the wings from Turquoise Sea Cardstock. I stamped the owl and greeting on the stitched rectangle panel in Sweet Mango ink, adding the paper piecing right over the top with just it's feet peeking from below. The panel was matted with black cardstock add added to a cardbase trimmed with patterned papers from both Petite Patterns and Spring Parade. 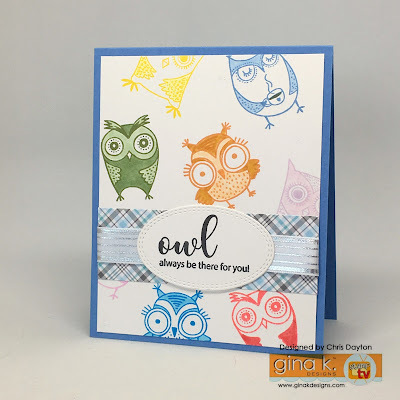 I used all four owls and a bright rainbow of inks to create my own patterned paper. I added simple coloring to the owls in coordinating Copic markers. The card was finished with a strip of plaid paper, some shiny striped ribbon and the stitched oval with the greeting. One more very clean and simple, owl card. This is stamped directly on an ivory card base and colored with Chameleon pencils. I added a 1" strip of patterned paper from the Parisian Garden paper pack and a few sequins to finish the card. Grand Greetings is the new incentive set available with a $75 purchase. I combined the crisp greeting with the images from Bold & Blooming for a simple, but colorful one-layer card. The floral image is colored with Copic markers. This simple one-layer card was created by using Post-It tape for masking, Wild Dandelion ink and sponge daubers to create the visual interest pattern. The greeting from Grand Greetings and the balloon and string from Happy Spring were added with Black Onyx ink. I used a 1 1/4" circle punch and a post-it note to create a protective mask for the outer edges of the balloon, and then I sponged in some Wild Dandelion ink to create a 3-D look. 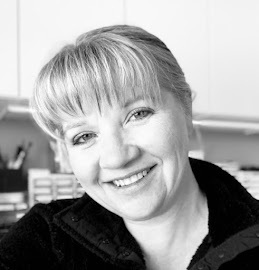 Love the talent on this blog!! The first one is my favorite, although all are fabulous. Wow, you've been very busy creating. They are all wonderful but I think my favorite is the "for all your do" card. Oh my gosh, I don't think I could pick a favorite but I do love the turquoise owl. Thank you so much for sharing with us. Love all your cards - just amazing. And great to see the new incentive used with the bold and blooming. Cards are awesome, love the flower stamp! I love the color combinations you used in each of these! Thank you for sharing!! Beautiful cards and so many ideas! Thank you. Eye candy overload! Those owls are SO cute and the flowers are just lovely! Such fun with cute owls and I love the showcasing of peonies too! Loe them all! Your cards are lovely! The owls are especially fun! Thanks for sharing! Great cards - lots of ideas! Thanks for sharing! Lovely flower cards and the owls are adorable. A great job with the large verses. Loving the Peony Wishes stamp! Gorgeous cards, really love the peony cards and the interesting techniques you used. Your use of different media is wonderful. I'll be using some of your ideas. Such a wonderful array of beautiful cards. They are amazingly lovely! Fun owls and beautiful flowers - love them all! Such pretty cards! Love your colors! I loved all of your cards! Those owls are just adorable every which way you used them! I also loved the simple yet elegant birthday card at the end. Thank you so much for sharing! gorgeous cards!! love them all! Quite the variety of cards. The owls are so cute. I really like how you used the grand greeting with the Bold and Blooming set. Wonderful cards and I just love the rainbow owls. Beautiful cards. All so different. These are all great, but I love the color combination on the first one. Great cards. I like how the Grand sentiments work with the Bold and Blooming flowers. Your coloring on the peony is wonderful. Love the paper pieced owl...too funny. Great cards. Your cards are so inspiring. 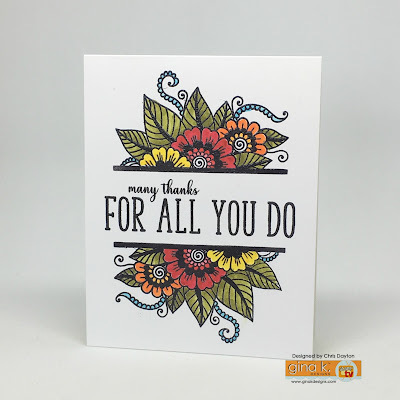 I like how you left the flowers uncolored on the first card...very pretty! Lovely cards! Especially love that first one. Thanks for the inspiration! Very nice cards. You've been very productive !! The owls are irresistible ! Oh my! 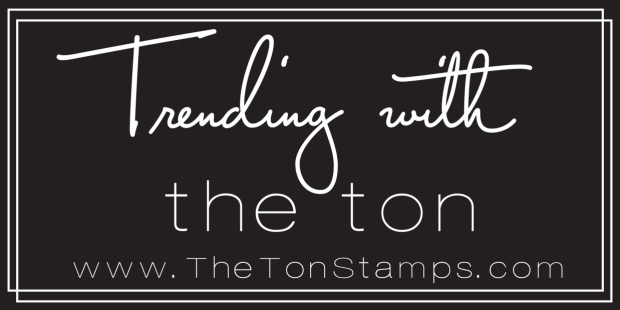 Love, love, love these stamps and all the creativeness of the blog hop - thank you!! Fabulous cards, Chris! 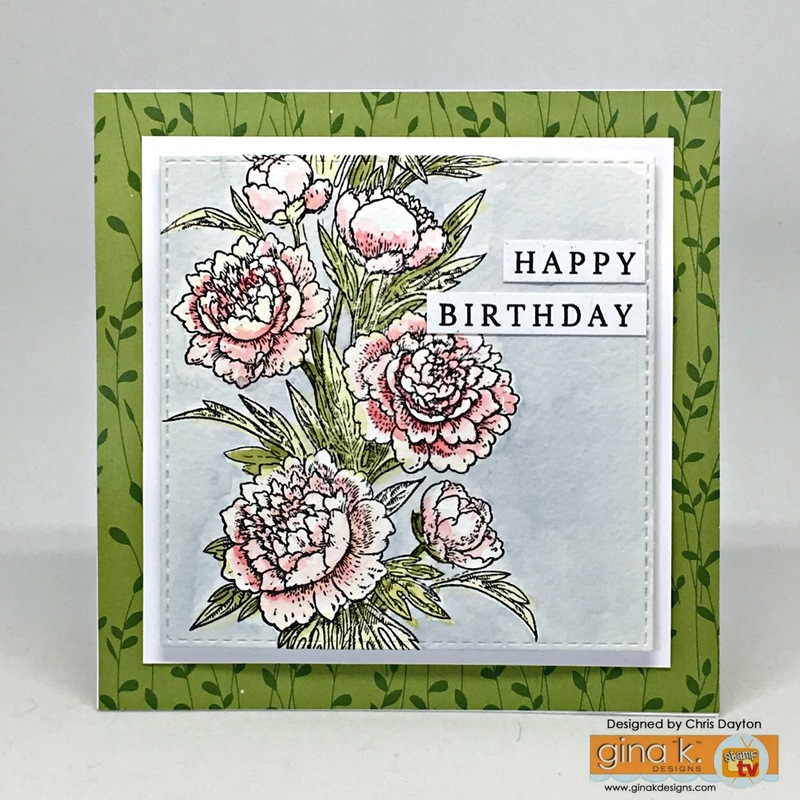 Love the second card you made with the Peony Wishes set! Beautiful cards. There are a lot of nice things in this release! Gorgeous flowers and cute owls, wonderful work! Beautiful flowers and I love the way you used the Chevron paper on the owl. Very clever! Things are the perfect and I believe that these can give us the perfect inspiration for us. Wow! 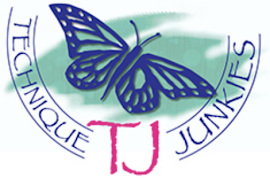 So many beautiful cards and so many ideas for wonderful card designs. I can't even pick a favorite. So often I just go blank for a card idea of my very own. Amazing! Oh my gosh, those owls are so stinkin' CUTE! And I love what you have done with those peonies, not to mention the beautiful Grand Greetings. Thanks for all the great inspiration!! Cute cards love them owls.